While I’m actually on Day 5 of Ventura, for some reason I haven’t posted anything… so here’s Day 1! Ventura is a game about riding around a fictional representation of Renaissance Italy, visiting City-States in order to receive Tasks, recruit Mercenaries, purchase Equipment, and buy Commodities. 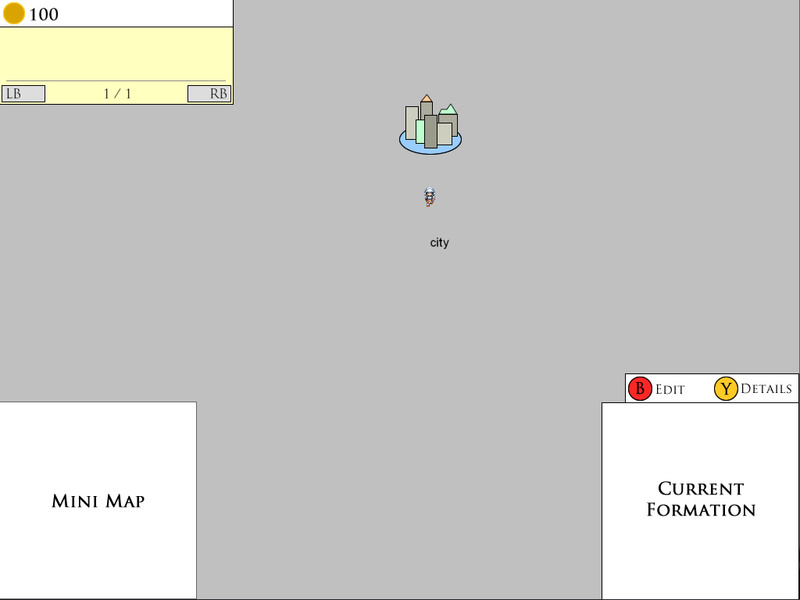 This week I’ve been focusing on UI, as much of the game is spent navigating menus. The City Screen is where most of the magic happens. It is here that you receive Tasks which can be completed for Gold. That Gold is then spent on hiring new Mercenaries and equipping them, increasing your strength and allowing you to do more rewarding Tasks and combat other players. 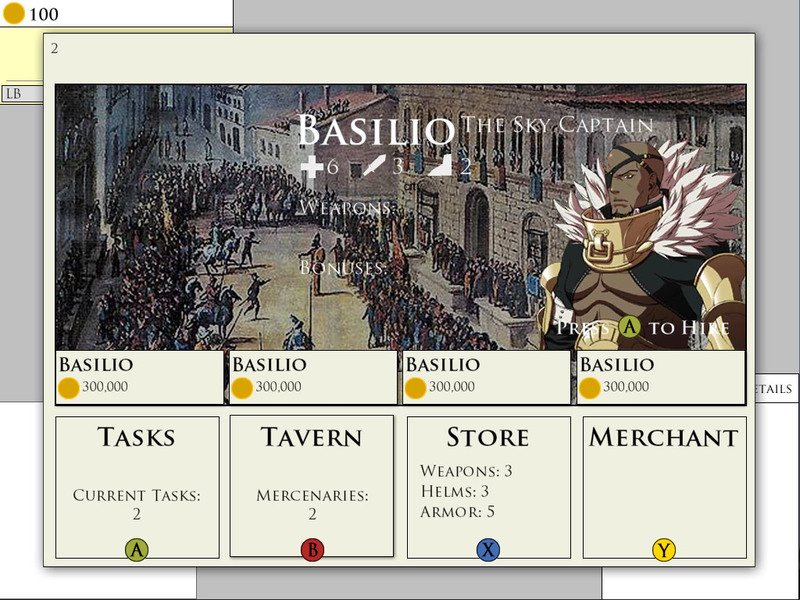 Day 1 was mainly the layout design and very simple navigation from opening the City Screen to entering the Tavern. There’s just something I really like about the vibrant colours and diverse manga style combined with the more realistic proportions and less fantastical theme of… you know… real life! 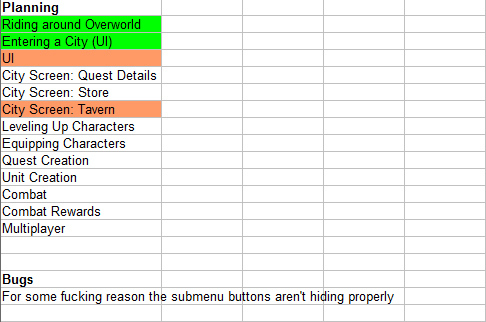 The Overworld is where you’ll spend another significant portion of your time. Here you will receive the latest news (on the top left), can browse the mini-map (on the bottom left), and adjust your combat formation and units (on the bottom right). Combat is the most non-designed portion of the game so far, so I’ll be leaving that for later. As I’m actually on Day 5, I have a lot more to show you… but I’ll probably give you the week’s update on Monday.